Our guide to Los Angeles will help you find the best kid friendly parks in Los Angeles California. Celebrities, movie cameras, and persistent paparazzi – these may be the hallmarks of present-day Los Angeles, but the second largest city in the United States has a rich and varied history that extends far beyond the glitter of the silver screen. California dreaming begins with Los Angeles. The sun, the beach, and the winking tinsel of Hollywood remain a permanent lure. Who can resist peeling down Sunset Strip in a convertible? Still, L.A. is a tricky city -- it takes know-how to navigate the sprawling neighborhoods and get into the top clubs. There are tons of great kid friendly parks in the city of Los Angeles, our city guide will help you find the best kid friendly parks. You may have a hard time deciding what to do in Los Angeles, but we make your decision easy. 1350 S Sepulveda Blvd, (310) 473-3610 - Aidan's Place is a Universally Accessible Playground (accessible to children with disabilities), the second one built by Shane's Inspiration. 2628 W 15th St - Normandie Playground is a kid friendly park located in Los Angeles CA. 4198 S San Pedro St, (323) 846-1920 - Theresa Lindsay Park is a kid friendly park located in Los Angeles CA. 4702 N Figueroa St, (323) 225-0370 - There is a playground at Sycamore Grove Park, as well as barbecue pits and lighted tennis courts. 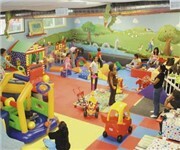 4730 Crystal Springs Dr, (323) 913-4688 - Griffith Park is a kid friendly park located in Los Angeles CA. 4900 Beverly Blvd, (213) 847-3599 - Known sometimes as Van Ness Park, Robert Burns Park is a patch of green in the Larchmont area with a playground and several picnic tables. 5001 Rodeo Rd, (323) 290-3141 - The Los Angeles Department of Recreation and Parks maintains this 28-acre park and sports center as a recreational facility for the public. 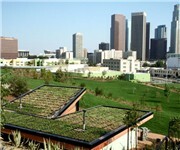 530 S Olive St, (213) 847-4970 - Pershing Square Park is a kid friendly park located in Los Angeles CA. 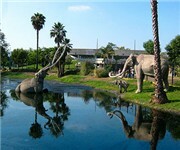 Debs Park, (213) 833-7990 - Ernst Debs Park is a kid friendly park located in Los Angeles CA. Elysian Park Dr, (213) 847-0926 - Elysian Park is a kid friendly park located in Los Angeles CA. Griffith Park, (818) 988-5676 - One of seven playgrounds in Griffith Park, Shane's Inspiration is the newest, on Griffith Park Drive, near the Park Center picnic area. 1122 Cole Ave, (323) 467-6847 - The Hollywood Recreation Center has a pool, a children's play area, a sports field, an auditorium, and a small community room. 333 S Barrington Ave, (310) 476-4866 - Barrington Park has a lot of facilities for such a relatively small park, (which is presumably why its small parking lot is often not sufficient). 4100 S La Cienega Blvd, (323) 298-3660 - Kenneth Hahn State Park offers picnic sites, four playgrounds, a fishing lake, a community center, and seven miles of trails. Cumbre Dr & S Anchovy Ave - A hillside park with soccer fields, baseball diamonds, gym and a nice playground. Great hiking and dog walking trails. 2950 Overland Ave, (323) 931-5092 - Located just off the Santa Monica Freeway at Overland Avenue, and next to the Palms Rancho Park Library, this Park is a favorite among kids. 5333 Zoo Dr, (323) 644-4200 - The L.A. Zoo is home to more than 1,200 mammals, birds, and reptiles from around the world. There are plenty more kid friendly parks in Los Angeles. 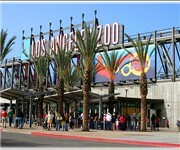 See all kid friendly parks in Los Angeles California.